Exporter of a wide range of products which include asphalt heating tank. With the inclusion of some famed vendors of the industry, we offer a robust designed Asphalt Heating Tank. This paver finisher is well known for its striking features like easy to use, durability and optimum functionality amongst other competitive product present in the market. 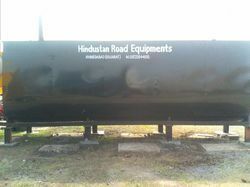 Looking for Asphalt Heating Tank ?